Thanks for your inquiry, I’m happy to respond. I teach a class on Self Taping Auditions here in NYC and have been professionally recording video auditions for more than five years.We have tons of useful free info on our website regarding self-tape auditions and how to do them. 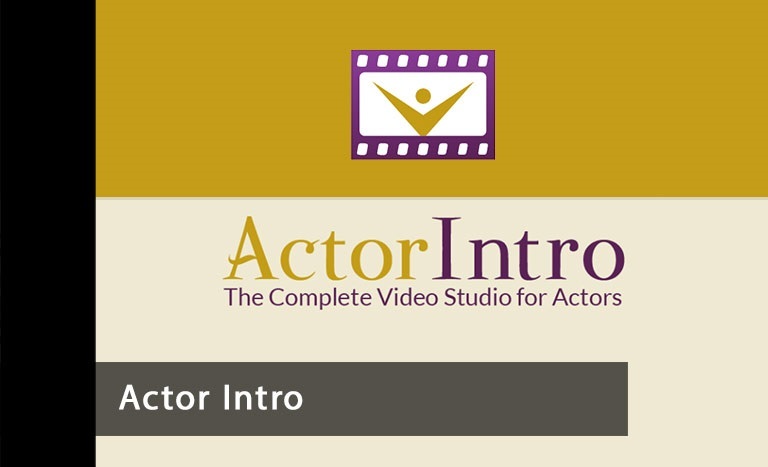 For starters there’s this quick video:http://actorintro.com/self-tape-audition/There is also a free Self-Tape Tutorial video, with even more info, if you subscribe to our site (no cost).The videos make the case that you shouldn’t do a self-tape yourself, but let a pro do it for you, as that is always the better choice. In the class I teach, I stress that the single most important thing you can do to improve your video is to improve your audio. This is actually an old maxim in the world of filmmaking and has always been true. The easiest way to spot a student film isn’t the acting, directing, video or set design. It’s the quality, or lack of quality, in the audio. Invariably. So, as a DIY project, a self-taper should invest a few bucks in a wired microphone that the actor can wear on their shirt.They should do simple three-point lighting. (You can google that term for an explanation. It’s not pediatric brain surgery. )Their reader should be up to the task, but not too up to it. The reader should elicit the best performance from the actor, without drawing too much attention, and be able to give useful feedback. The requirements for uploading the finished video are all over the map, still, as a result of what the various casting agencies are demanding. It’s as if twenty different people were coming up with a way to make an omelet, insisting that their way was how “it must be done”, sometimes even saying that “unless it’s done this way”, the audition won’t be seen. Actors shouldn’t have to put up with the frequently nasty tone, but that’s a topic for another day. From file type to file size to naming conventions, there is no normal, yet. I’m hopeful that someday soon we can look back and share a good laugh over all the ridiculously complicated and onerous “requirements” that casting agencies have foisted upon actors over the past couple of years. To compress the video and get it ready to be sent on its way we use Final Cut Pro, an Apple product, but there are others, and some are free.You should have QuickTime Player 7 on your computer. You should have a Dropbox account.The bottom line, for actors, is: You shouldn’t let the technical side of DIY self-tape derail what should be getting 100% of your attention: your performance in the audition. For some people that’s easier to do than for others. To sum up, this is just an “executive summary” of what self-tape auditions are about. I’d be happy to discuss further. And I hope you find this information helpful. Thanks again for asking!